Subscribe to Bil Browning's Feed Send a note to Bil Browning. 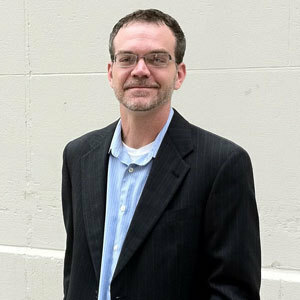 Bil Browning has been a Project Contributor since September 2004, has written 6839 entries and currently lives in Washington, DC. Bil Browning is a long-time gay activist and writer. He is the founder and Publisher of The Bilerico Project. Known for his political and social commentary, Bil does consulting work for political communications and new media projects. He is an established conference speaker and regularly appears on news outlets like CNN, MSNBC, FOX or NPR. He has been featured prominently on the front page of the New York Times and his work is regularly discussed across the country. Bil has fought for gay rights since coming out in high school in rural Indiana. He followed the Clinton campaign across America with ACT UP in 1992 and has organized many protests and direct actions over the years since. Bil has led several grassroots coalitions including the effort to pass a fully inclusive human rights ordinance in Indianapolis and has served in the leadership of several LGBT organizations. As half of the original "bilerico," he is thrilled at the response to his dream of a free space where everyone could interact around LGBTQ issues. Little did he know that fifteen years later a word he and a friend invented would stand for equality, dialogue and community. From his personal homepage to a state-level LGBT politics blog and now into an award winning national powerhouse, Bil has guided bilerico.com through its evolution into The Bilerico Project. He has won the Indiana Stonewall Democrats' Chuck Avery Award (2006), the New York City Anti-Violence Project's Courage Award (2009), the Los Angeles Stonewall Democratic Club's Bob Craig Media Award (2010), the National Lesbian & Gay Journalists Association Excellence in Online Journalism Award (2011) and was named a Capital Pride Hero in Washington DC (2011). He and his partner live in Washington DC with their pets. Together they own Bilerico Media LLC, a new media and online activism consulting firm. Bil is a board member of the National Lesbian and Gay Journalists Association and an advisory board member of the Woodhull Sexual Freedom Alliance. You can join his fan page on Facebook or follow him on Twitter.